This Is Fun! Wanna Help? Description: White washing the outside shower at my Great PopPop's house in Nag's Head. 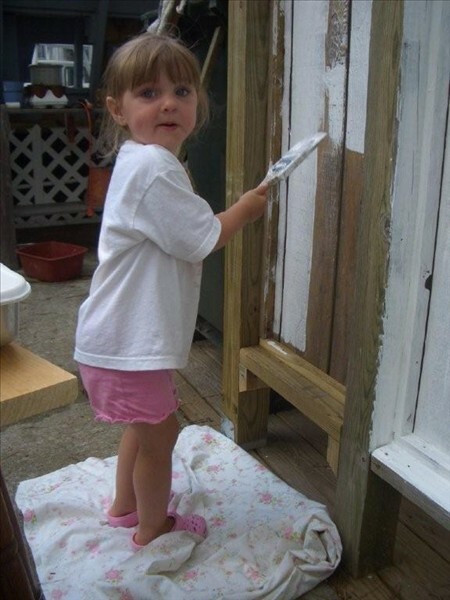 Yes, that is our Great Granddaughter helping me paint. Wish you could see her after the paint job.